We continue our series of Chinese digital stat posts by taking a look at WeChat statistics. 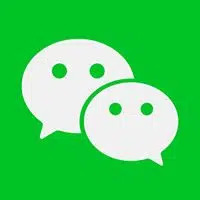 WeChat (called Weixin in China) is China’s version of WhatsApp or LINE and has one of the largest user bases among the ever-growing number of chat apps. In just 7 years since Tencent debuted WeChat, it has become one of the largest social networks in China. Here are a few of the more interesting WeChat statistics we’ve been able to dig up. How many people use WeChat?